FIRST LICENSE RENEWAL: If this is your first license renewal, you will need to complete 30 hours of pre-approved mandatory post-licensing courses. NOT YOUR FIRST LICENSE RENEWAL: If this is NOT your first license renewal, you need to complete 16 hours of pre-approved continuing education courses. 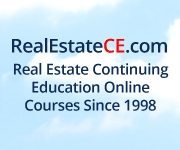 This consists of eight hours of required topics and 8 hours of real estate related electives. The eight hours of required topics include one hour each of Agency, Contracts and Legal Updates, two hours of Fair Housing, and three hours of Ethics. Classes will be held at the Northern Neck Association of Realtors, Callao Professional Building, Lower Level, 268 Northumberland Highway, Callao, VA 22435. Note: Classes are free for Primary and Secondary members of the Northern Neck Association of Realtors®. Cost for non-NNAR members is $35.